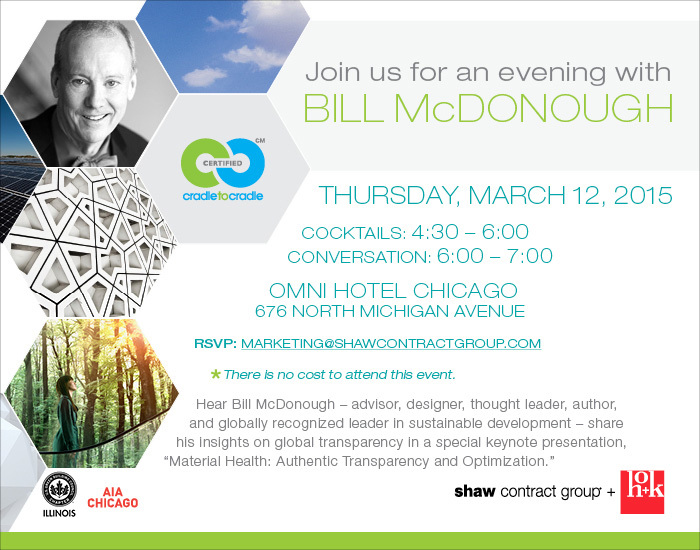 This is a partner event with Shaw Contract Group, HOK, AIA Chicago and USGBC-Illinois. Chapter Members may RSVP to MARKETING@SHAWCONTRACTGROUP.COM. This event has reached capacity. Thank you for your interest!